“It’s really quite handsome and it’s easy to see why: it’s just a knockoff of the Audi A7. “To be fair, just about any full-sized hatchback looks like an Audi A7 knockoff. Even a new Panamera or a Tesla Model S looks like an A7 wannabe because, well, most cars are all pretty much the same basic shape at this point. 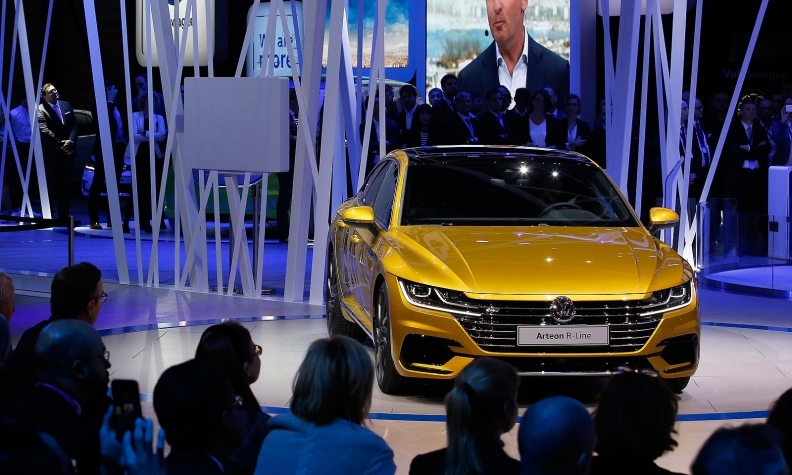 “The Arteon heralds a new design approach for Volkswagen with an interesting front fascia where the radiator grille meets the headlights, in this case a standard full-LED arrangement. Even though VW called the CC a ‘four-door coupe,’ the car was at the end of the day a sedan with a swoopy roofline. Things are different now with the new arrival as it adopts a more practical fastback body style with a large rear hatch in the same vein as the concept. “The Arteon definitely passes for a cousin of the CC -- but a prettier, better dressed and more successful cousin your mother always compares you unfavorably to. Emphasizing the ‘art’ in Arteon, Volkswagen fancies the sedan's exterior styling as ‘avant-garde,’ making note of its long wheelbase, stretched roofline, coupelike fastback shape and large rear hatch (as opposed to the CC's restrictive trunk opening).